The initial public offering (IPO) of Music Broadcast Ltd, which runs FM radio channel Radio City, was subscribed more than 39 times at the end bidding on Wednesday, with investors continuing to lap up the stock. The offering of 10.45 million shares, excluding the anchor investors’ portion, received bids for almost 412 million shares, stock-exchange data showed. Non-institutional investors, such as corporate houses and wealthy individuals, led bidding as the portion set aside for them was covered 109 times. The quota for institutional buyers was subscribed almost 40 times while the retail book was covered nine times. The IPO had crossed the halfway mark on the first day of the issue on Monday and was covered 2.18 times on the second day. Music Broadcast joins hypermarkets operator Avenue Supermarts Ltd and stock-exchange operator BSE Ltd in floating successful public offerings this year. 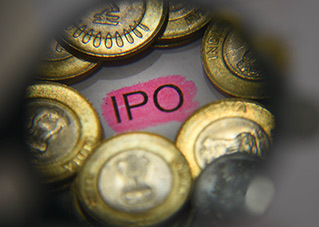 The three IPOs extend the good run after a blockbuster 2016 when fundraising by companies via initial share sales jumped to a six-year high of Rs 26,500 crore. The IPO market in India picked up pace after four years of slow activity in mid-2014 when the BJP-led government took over. In 2015, 21 companies had raised about Rs 14,000 crore, as per stock-exchange data. The IPO of BSE, in January this year, was oversubscribed 50 times while Avenue Supermarts’ issue was fully covered on Wednesday, the first day of the share sale, thanks to strong demand from investors. Music Broadcast's IPO is also the first by a radio operator in over a decade. In November 2005, Times Group-controlled Entertainment Network (India) Ltd, which runs Radio Mirchi, had gone public. Entertainment Network commands a market valuation of about Rs 3,992 crore ($599 million), stock-exchange data show. Music Broadcast, which is majority-owned by Blackstone-backed Jagran Prakashan Ltd, had on Friday raised Rs 146.55 crore ($22 million) by selling shares to 17 anchor investors at Rs 333 apiece. Those who bought the shares include funds of Morgan Stanley, BlackRock, Franklin India, Nomura and Pictet Mauritius.